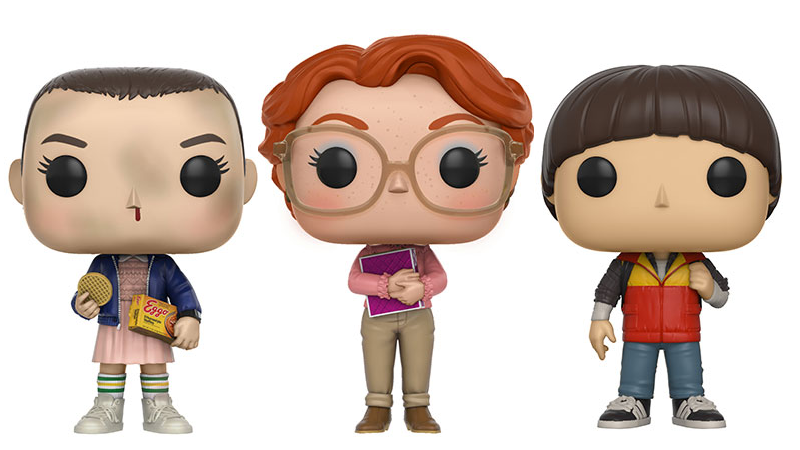 Even if Stranger Things wasn’t one of the biggest pop culture sensations of the years, it would be inevitable—just as the heat death of the universe is—that Funko would turn Eleven and friends into cutesy, giant-headed figurines, same as they have with almost everything else. But the Netflix show is one of the biggest sensations of the year, it’s happening more quickly than usual. Revealed through Entertainment Weekly, the first wave of Stranger Things Funko Pops won’t be available to gift to your Barb-loving friends in time for Christmas, but the turnaround from Funko’s teasing just after the show released to them being available is pretty remarkable nonetheless. The initial wave pretty much gets every character you’d want—yes, there’s even a Barb—including some interesting variants, like an Upside Down version of Will, or rare “chase” variants of Blond-haired Eleven (wielding, of course, her trusty Eggo waffles) or a closed-mouthed Demogorgon. You’ll have to wait for wave two for the Hot Topic exclusive “horribly disfigured decaying Barb” variant, I guess. Each Stranger Things Pop figurine will set you back around $10 when they’re released early next year, just in time for everyone to start rabidly demanding news about season two. Head to the link below to see the rest of the figures.